Body contouring is a cosmetic procedure using one or a combination of techniques to achieve overall improvement in the body’s contour and appearance. If your body shape is affected by obesity or skin laxity in one or more areas following pregnancy or weight loss, then body contouring may be suitable for you. Body contouring is a combination approach using the latest cosmetic surgery techniques. It can create a more visually appealing body shape, although is not a substitute for weight reduction nor a cure for obesity. It is ideal for people who are in relatively good shape but suffer from loose abdominal skin or disproportionate areas of the body that do not respond well to diet or exercise. 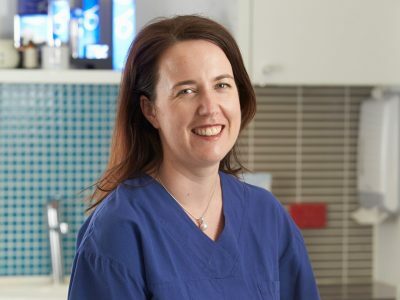 To find out if body contouring in Perth is right for you, the first step is to book an appointment with one of our Specialist Plastic Surgeons. What results can I expect from body contouring in Perth? Perth body contouring can improve the body’s contour and overall appearance by removing excess fat or loose skin, while improving the proportions of your body’s shape. For many mothers, body contouring provides an ideal solution to address a range of concerns. The pressures of pregnancy, labour, breastfeeding and time can all contribute to unwanted changes in the body. Breasts often become overstretched and saggy-looking following birth and breastfeeding. Other problems like enlarged areolas, unevenly shaped or ‘empty’ looking breasts, loose fat around the waistline, extra fatty deposits on the hips, pigmentation in the face, and stretch marks, are all common complaints for most mums. While diet and exercise can help, chances are, the body never goes back to looking like it once did. Body contouring may include one or a combination of cosmetic surgery procedures, depending on your body’s individual characteristics and your personal goals. Your Specialist Plastic Surgeon will discuss your expectations with you and advise the most suitable procedure or combination of procedures to achieve your desired look. Will I be hospitalised for body contouring in Perth? In Perth, body contouring procedures are performed in an accredited hospital under general anaesthetic. Most patients require several days in hospital to recover after these procedures. This will depend on your general health, the extent of the procedure/s, and your surgeon’s advice. You will need to attend a post-operative consultation approximately 5-7 days after discharge from hospital, and again 7-14 days after this with subsequent post-op visits if required. Will Perth body contouring leave scars? Scars are an inevitable result of any surgery. However, with body contouring procedures your Specialist Plastic Surgeon will make every effort to ensure any scars are as inconspicuous as possible. In most cases, scars are not significant and fade with time. Are there any side effects of body contouring in Perth? Although no major complications are expected with body contouring, this will depend on the individual procedure/s undertaken. Your Specialist Plastic Surgeon will discuss what you can expect from the procedure/s. It is important to carefully follow your plastic surgeon’s advice to reduce the risk of complications. When can I resume normal activities after body contouring surgery? A post-operative care plan will be discussed with you before and after the procedure/s. Returning to work and your normal activities is an individual matter and your Specialist Plastic Surgeon will advise you. How much does body contouring in Perth cost? Your Specialist Plastic Surgeon will provide an indication of the likely costs, such as your surgeon’s fee, anaesthetist’s fees and hospital and theatre fees. Your surgeon’s fee includes all post-operative care and nurse dressings. Pricing will vary from case to case and combination areas of surgery (tummy, back, arms, thighs), but an indicative range of your surgeon’s fee is $10,000 to $20,000 excluding GST. Anaesthetist, hospital and theatre fees are additional. There may be Medicare and private health insurance rebates available for certain body contouring procedures in Perth depending on strict Medicare eligibility criteria. Your surgeon can provide you with more information, but you would then need to talk to your private health insurer to determine exactly how much cover they will provide and confirm what your final out-of-pocket costs will be.